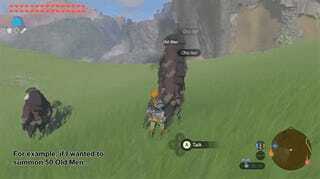 Breath of the Wild players have developed a cheat code mod that lets you spawn almost any object, item, character, or boss into your game. The raw power this affords Link is incredible. 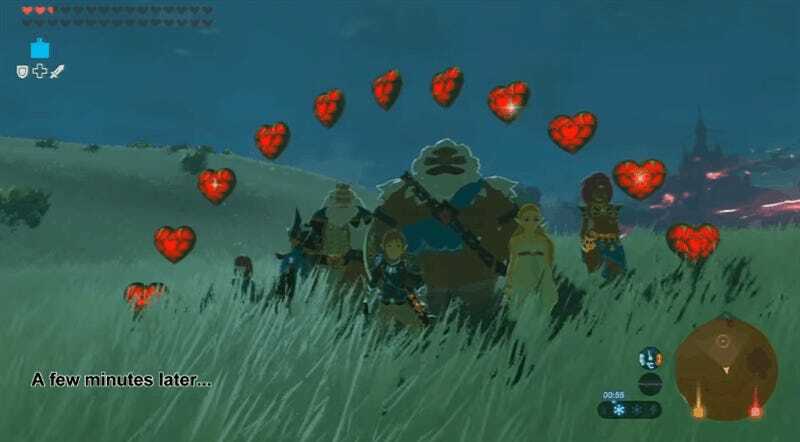 Want to spawn a million King of Hyrules to fight against a Guardian? You can do that. Want to make it rain bananas? Go nuts. At one point, MrBean ties Link to a tornado of metal boxes, which perpetually spawn and hit everything that stands in their way. 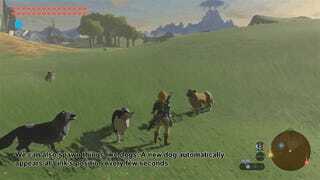 During another segment, MrBean tries to see how many pigeons he can spawn, only to find that BOTW will trigger a Blood Moon to wipe the game once it starts struggling with too many rendered objects. 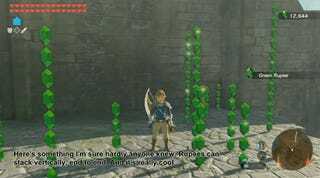 He also gifts Link endless Rupees, only to find that BOTW’s carry limit is 999,999. Fun fact. And of course, MrBean had to see what would happen if he put all of BOTW’s bosses in a single room. It’s sheer chaos. 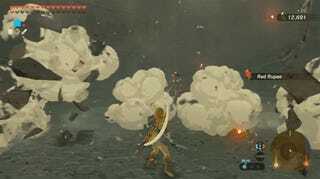 Link doesn’t stand a chance. The video is lengthy at 18 minutes, but it’s well worth a full watch just to see all the absurdity contained within. The Accio Master Code, developed by Chadderz and MrBean35000vr, is still in beta, but even in this form, it looks wild. Still, players can try their hand at it through a Wii U cheating client that can run this specialized code. The video’s description holds some instructions for people who want to customize their experience even further, though the necessary object names to make things spawn can be found here. What I’m really curious about is if these tools will start to pave the way for modders to create their own Zelda dungeons or puzzles. Early on, we can see MrBean spawn dungeon objects, so it seems possible. I’m excited to find out. Until then, enjoy all these outrageous GIFs.